This vibrant Prawn Salad Recipe brings new life to the traditional starter, with a splash of salty pesto and ripe, juicy cherry tomatoes. So light you will be drooling for more! 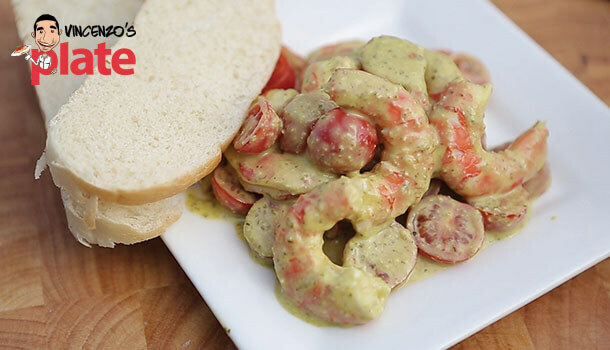 Prawn Salad Recipe – Prawn Cocktail Salad with Pesto and Cherry Tomatoes. Clean the prawns by removing the head and legs then the outer layer. Then remove the vein by slicing through the middle of the back and pulling it out. 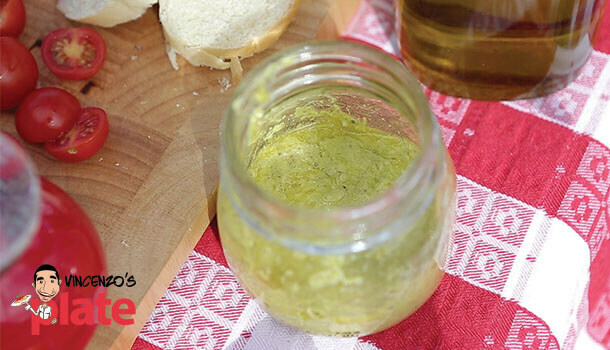 Add 3 tablespoons of EVOO to a small jar, squeeze ½ lemon (straining out the seeds), add reshly chopped parsley, a sprinkle of pepper and 3 x teaspoons of Barilla Pesto Genovese. Put the lid of the jar on and shake well for 30 seconds or until all of the ingredients have combined well. 1. 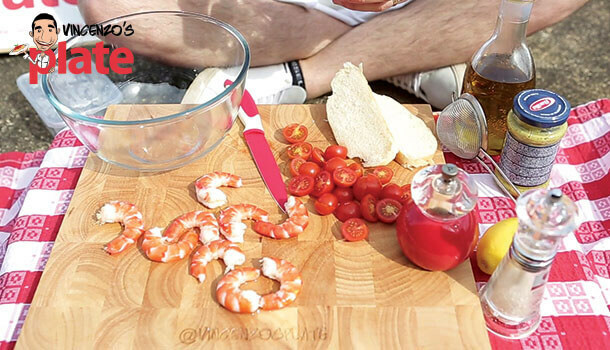 Add the prawns to a Martini glass and the cherry tomatoes on top. 2. Sprinkle a dash of salt and add some fresh parsley. 3. 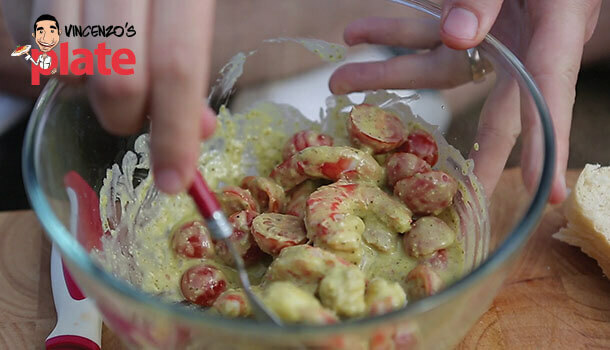 Pour the dressing over the top of the prawns and tomatoes. 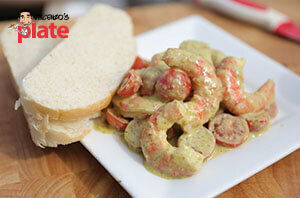 This Prawn Salad Recipe is best served as a starter to a big seafood meal. Prepare it in advance, cover it with cling wrap and leave it in the fridge. 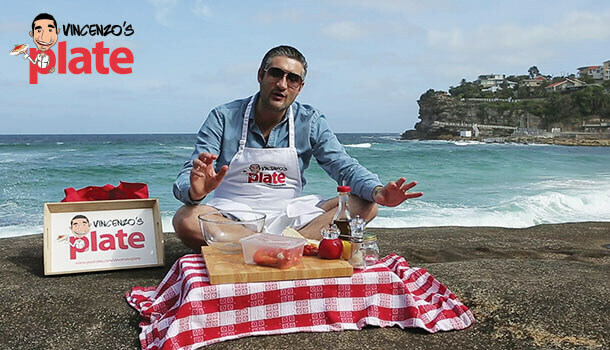 One of my favourite dishes to accompany it as a main is my Seafood Pasta…..YUM!! !